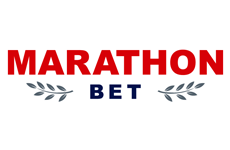 MarathonBet has been in business since 1997. They look to offer the highest-paying odds as often as possible. With likely the cleanest online interface, built to use a white background, MarathonBet is very easy on the eyes and is extremely easy to navigate. From time to time, they will offer free bets for existing customers, rather than a sign-up bonus for new customers. Unique MarathonBet features:Their Advancebet feature allows you to unlock the potential of unsettled bets when your balance is at zero. Rather than making a new deposit, MarathonBet Advancebets can allows you to bet with the unlocked potential of bets that are unsettled. New deposits go back to your regular balance, not to pay-off the Advancebets. Advancebets are available for live events and events due to start within 48 hours. MarathonBet also offer 1-click betting. 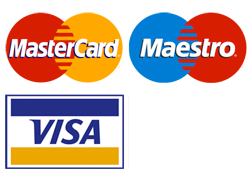 Payments: In addition to those you see at right MarathonBet also processes many of the local payment methods that fall under the Skrill corporate banner including CartaSi, Dankort, eNets, ePay.bg, iDeal, Poli, PostePay, Przelewy24 and laser cards. Other methods are available like Todito Pay for Mexico, Boleto for Brazil, and numerous others for Ukraine and Russia like WebMoney, Moneta.ru, and W1. Can you trust MarathonBet? MarathonBet’s betting shops are licensed and regulated by the UK Gambling Commission which has one of the strictest levels of policy compliance and transparency. MarathonBet’s online gaming is regulated from Alderney and Curacao. Is my information secure? MarathonBet uses 256-bit SSL encryption to secure the information passed during your session which is twice as secure as most encryption that is used by betting providers. Most others use 128-bit encryption. You will notice that you have a secure connection as your browser uses an ‘https’ address, rather than simply ‘http’. Wire: 2-10 banking days. Credit Cards: 1-3 banking days. All other methods: within 3 hours. Withdrawals are unlimited and free for all banking methods except for bank transfers. Withdrawals via bank transfer are free when the amount withdrawal is above 1,000 Euros or equivalent.